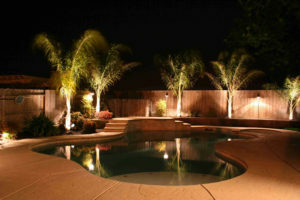 Modern LED lighting not only looks brilliant, but consumes a fraction of the power of traditional lighting. We undertake LED downlight installation for both indoor and outdoor settings and can show you how to modernise the lighting look of your home, office, or commercial building. This will both improve general illumination and provide a modern and stylish look. Through consultation we will review your existing lighting and your needs, then provide an improved design for your consideration. We can cover all aspects of lighting from good illumination, to display lighting, as well as lighting to highlight features. Whether it is indoor or outdoor lighting, we can provide a cost effective solution that is not only functional, but will be efficient and attractive. Contact us today to discuss your lighting needs and explore the opportunities offered by an LED light installation.